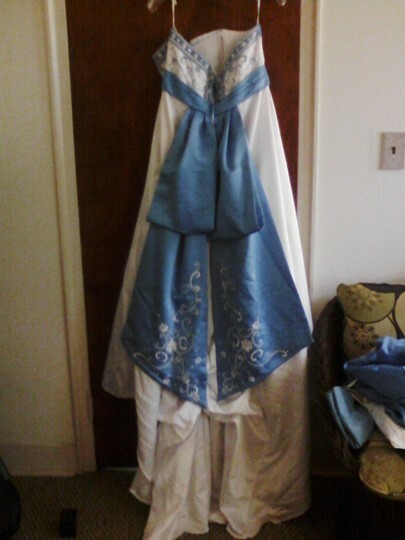 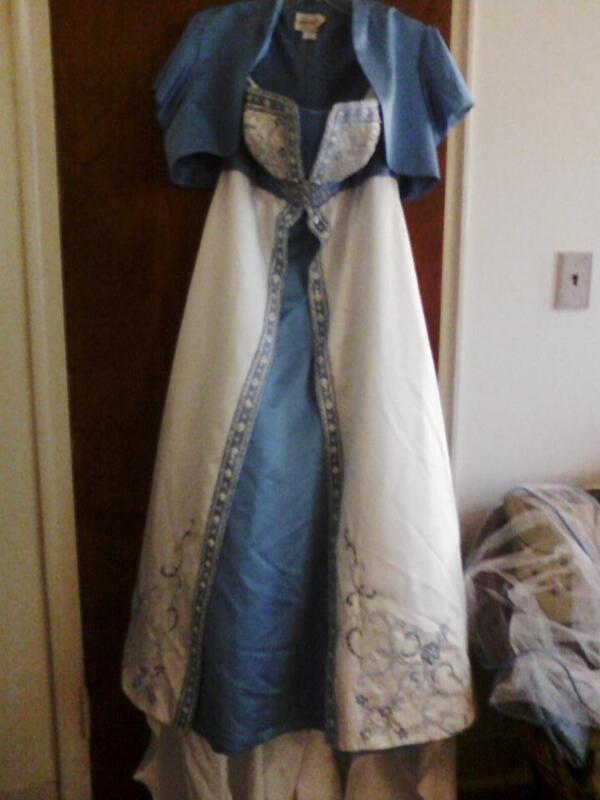 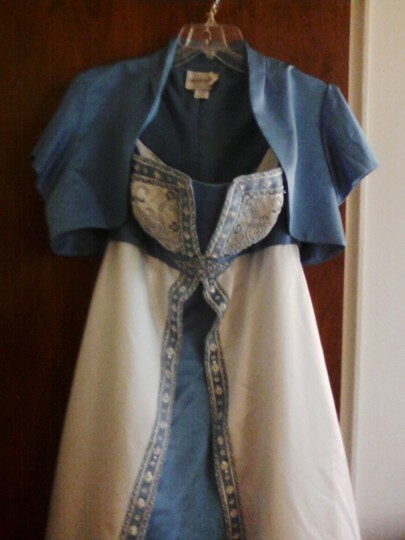 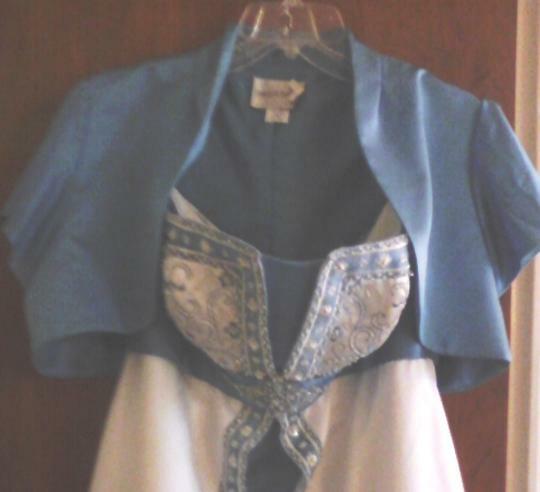 A line princess style, empire waist, sleeveless dress with split front in french blue and blue train in back. Bodice is beaded with beading down the front on the train-beading intact. 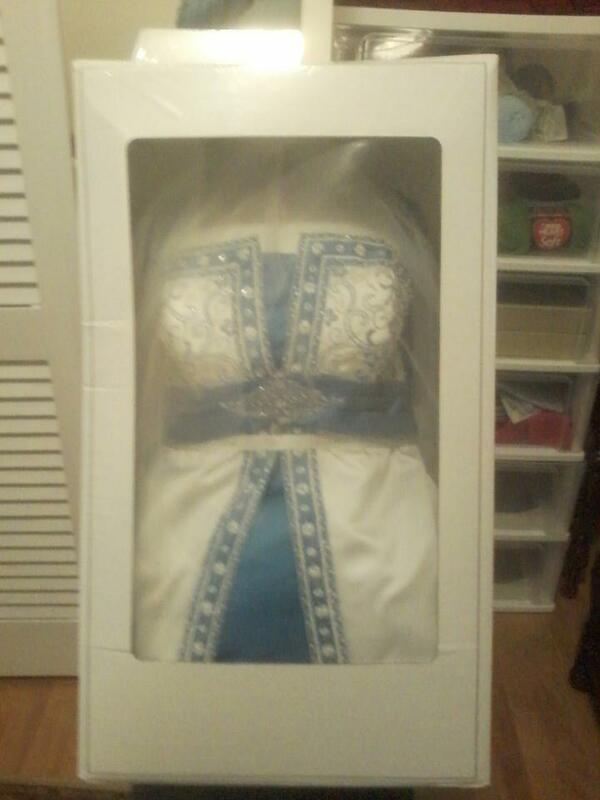 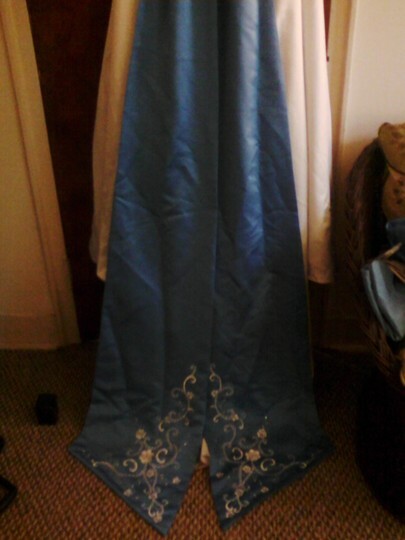 Matching satin blue jacket and simple small veil included in box. 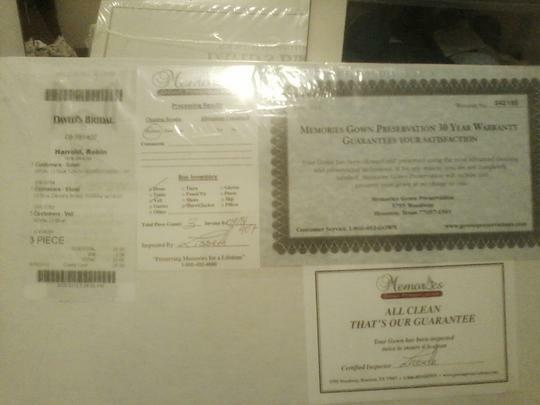 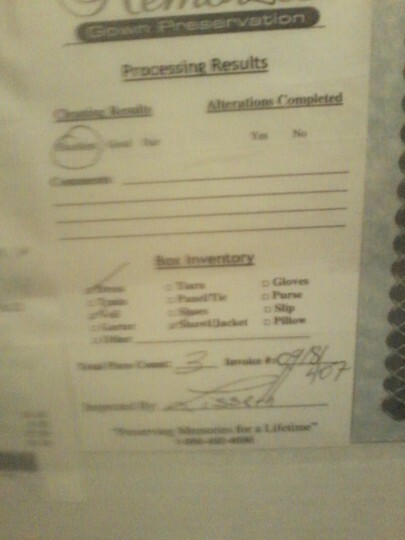 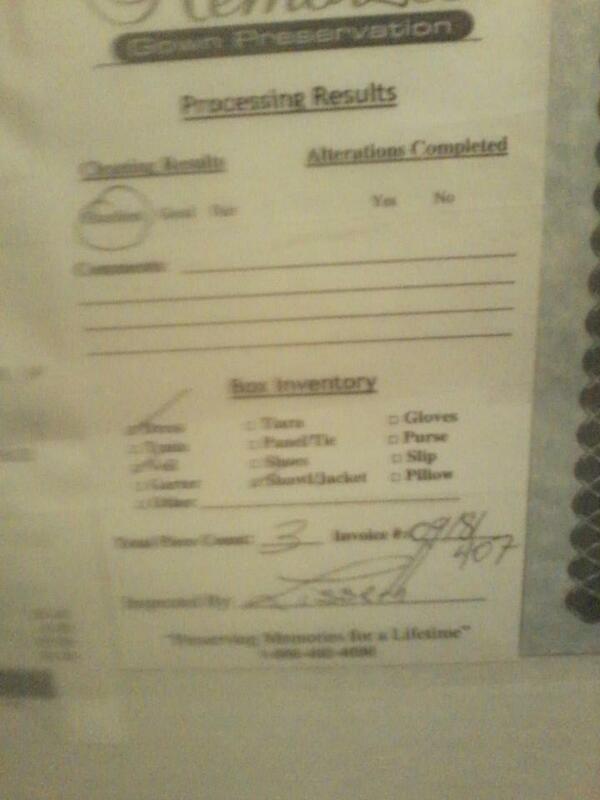 Preserved in excellent condition per notations from preservation company (see picture).